Abstract: New York City’s sanitary reforms of the 1890s were a significant because for the first time every street was cleaned and all neighborhoods had regular trash collection. Critical to the success of the reforms was a system of waste disposal. Since the 1850s, companies on Brooklyn’s Barren Island, in the western portion of Jamaica Bay, converted offal and animal carcasses into grease and fertilizer. This system was expanded to accommodate the waste flows created by the city-wide sanitation reforms. The industry was established when Barren Island was unpopulated and isolated but the eastward growth of the city made the waste industry increasingly unwelcome even as the city depended on it for financing trash collection. These industries illustrate the importance of having an effective waste management technology, a market for recovered materials, and an isolated location for processing operations. For most of New York City’s history, the city’s filth was about as evenly distributed as its wealth. Before reliable municipal services were widely available, affluent residents paid for regular garbage collection, street sweeping, and privy cleaning. But in poorer neighborhoods garbage and filth were allowed to accumulate on the streets and in the alleys. In the mid 1890s, New York undertook a series of comprehensive sanitary reforms. Under the direction of Sanitation Commissioner George Waring, an army of white-uniformed street sweepers cleaned every street and all neighborhoods had regular waste collection. New York City was not unique in this respect. During the progressive era in the United States, the public health infrastructure in America’s cities, water supplies, sewers, and trash collection were transformed from a loose collection of private contractors into integrated systems. In 1880, less than 25% of American Cities had waste management systems, 80% did by 1910. There were many reasons behind the nationwide municipal sanitation movement. Experience with managing health in army camps during the Civil War taught Americans the importance of controlling sewage flows, protecting water supplies, and cleaning up trash. During the post-war period cities grew increasingly squalid as urban population densities soared and the industrial revolution introduced more types of packaging and consumable items. Eventually a new understanding of the causes of disease coupled with calls for civic reform allowed a new generation of city planners, landscape architects, sanitary, and civil engineers to create a modern urban infrastructure. The result was better public health, parks that were open to all, rational street planning, and an unprecedented level of professional management in city governments. One of this new generation of professionals was George Waring who served as New York City’s Commissioner of Street Cleaning and directed the sanitary reforms described in this paper. The reasons behind new waste management and public health measures were complex and varied, but every city that went through the process had to answer one question: What do you do with the garbage? 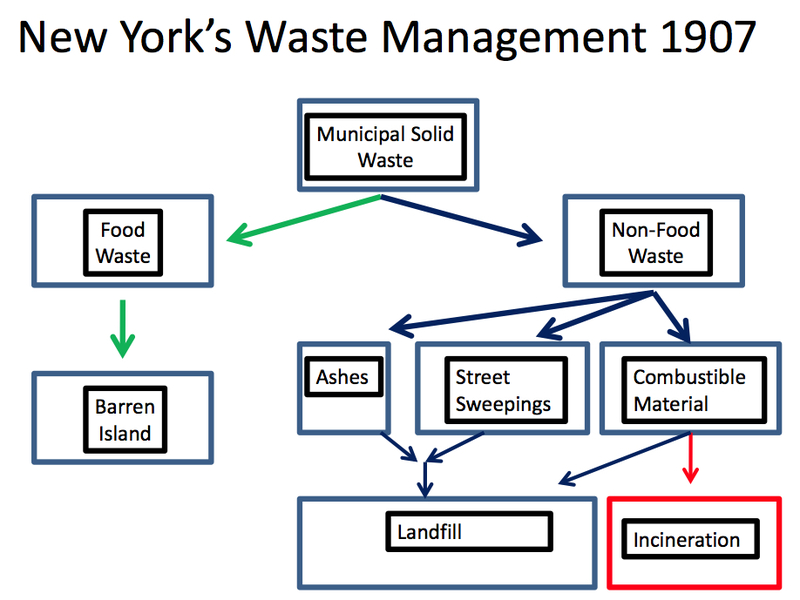 How New York City answered this question, its specific waste management technologies, their environmental context, and some of the consequences of their choices are the subjects of this paper. New York’s government chose to expand upon an existing system of waste processing that was centered on Barren Island in Jamaica Bay. 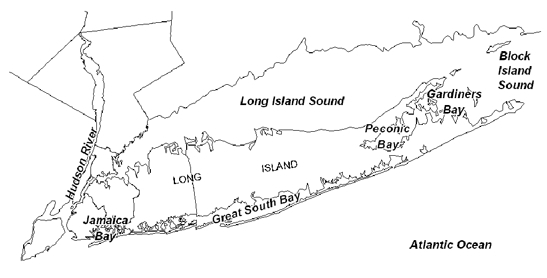 Jamaica Bay is a shallow tidal estuary on the south shore of Long Island. Half the bay is in the borough of Brooklyn and the other is in the borough of Queens. Remote and isolated in the early 1800s, by the second half of the century, Jamaica Bay had become the center of New York City’s waste management industries, the city’s place for recreation, a source of natural resources, and where the expanding city could build housing. (Figure 1) Conflicts were inevitable and they hold many valuable lessons for environmental management today. In the era before sanitary landfills, waste disposal took a number of different forms. As a seaport, New York could engage in some of the more offensive practices such as ocean dumping and using trash to create new land on the city’s margins. As they had for centuries in the old world, a class of scavengers removed glass, metals, paper, and rags from the waste streams but after the industrial revolution this activity was under the control of contractors who paid for the privilege of culling the waste streams. Rotting vegetables and other organic wastes such as excrement, straw, and manure were composted into fertilizers. Food wastes were fed to pigs. A process called “Waste reduction” was used to recover grease, tallow, and nutrient-rich fertilizers from animal carcasses and butcher’s offal. In the 1800s New York City was never a particularly clean place. A mass of mud, rotting food, and animal excrement was piled up on many city streets and added to this were the waste streams from tanneries, slaughterhouses, dyers, distilleries, glue works, bone boilers, and stables. In the absence of regular garbage collection, pigs were allowed to roam the streets and convert at least a portion of the wastes to food. An ineffective city planning department meant that while individual citizens and even entire neighborhoods might protest against the presence of slaughterhouses, bone boilers, and other nuisances, in most disputes, the city government tended to side with property owners and merchants. The earliest call for comprehensive sanitary reform came from the city’s Medical Society in response to an 1832 cholera epidemic that was sweeping Europe. Fearing it would cross the Atlantic, the Medical Society urged the establishment a system of emergency hospitals and the disinfection of cesspools and privies using quicklime. They also called for the city to clean up the streets, yards, and vacant lots. The city government ignored their suggestions. A total of 3,513 persons would die during the epidemic, mostly in the poorer neighborhoods. Eventually the Board of Health took action. The clothes and bedding of the sick were burned, streets were swept clean, as were the vacant lots, docks, and other places where years of filth had accumulated. By the end of August, medical authorities declared the city safe. One of the reforms after the outbreak was the start of a sewer system. The city also seized up an estimated five to six thousand hogs from individual homeowners and drove another 20,000 hogs to the still undeveloped northern parts of Manhattan. In what would have long-lasting impacts on the city’s waste management, in 1851-2 all bone boiling works were banished from southern Manhattan. This is the first time that the city would make a comprehensive attack on an entire class of nuisance and enact a law that would move it from populated areas. In 1850 it was estimated that New York had 748 places where there was a “greater or lesser amount of animal matter undergoing decay.” These places included 206 public markets, 11 slaughterhouses, and 531 butcher shops. They were more than a mere nuisance, at the time it was widely believed that foul odors were the direct cause of sickness. There would be a great deal of money to be made for anyone who had a method of dealing with these wastes and a remote place to do it. City Inspector Alfred White established a franchise system to handle the city’s waste in 1849. Using a dummy partner as a front, White arranged to have a monopoly on waste disposal. He and co-owner William B. Reynolds selected Barren Island in Jamaica Bay as the site of a plant that would turn the city’s putrescible wastes into cash. For the next fifty years, industries located on Barren Island would dispose of animal carcasses, butcher’s offal, and slaughterhouse wastes. It would prove to be a profitable, if odiferous, business. Except for a lone hotel catering to sportsmen, Barren Island was undeveloped and largely uninhabited in 1850. 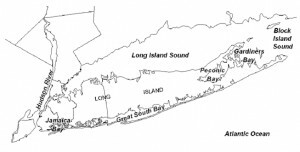 The low-lying tidal marshes lining the shores of the bay isolated Jamaica Bay’s waters from the growing villages of Kings County (Brooklyn) and Queens County. A few isolated fishing villages such as Canarsie tentatively stood on small patches of dry land along the bay’s shores and the occasional farmer grazed cattle in the salt hay. Although an excellent harbor, Jamaica Bay never developed as anything but a minor maritime center because from an early date excellent roads connected the villages on Long Island to the ferry landings on the East River. Placing waste processing industries on an island in the bay both isolated them and allowed them to be serviced by barges and steamboats. The products of the waste processing were grease and tankage. Greases were the fats and oils extracted from the wastes and tankage was the left over flesh that was processed into fertilizer. Grease had a number of industrial uses including leather tanning, lubrication, and in the manufacture of soap and candles. At the start of the process, carcasses were skinned and chopped into smaller pieces. All of these materials were boiled in a large iron vat equipped with a tightly fitted cover that did not entirely eliminate the escape of noxious gasses. The pressure was not allowed to rise above a few pounds per square inch. Boiling separated meat from the bones, and recovered most of the grease. Larger bones were charred and used as a filter medium in sugar refining. Smaller bones were cut up for button manufacturing. One of the main drawbacks to boiling was that the water used became a smelly soup that contained 5 to 6 % glycerine. The soup, along with any blood, was simply disposed of. The use of closed tanks for the recovery of grease allowed higher operating pressures and also allowed noxious gasses to be captured. Higher pressures also caused bone to disintegrate and release additional nutrients. One of the earliest types of a grease rendering tank was the Wilson Patent Tank, described in 1856 as “a cylindrical vessel of boiler iron, about ten feet high, and four feet in diameter; it is made steam tight, having openings which can be closed at pleasure near the top and bottom, for the admission and discharge of fatty matters to be melted. Heat is applied by introducing steam through a pipe opening into the bottom of the tank; the pressure used is about fifty pounds to the square inch (equal to 280 degrees F). The heat is applied from six to nine hours in succession.” By 1874 technologies were introduced that would capture noxious gasses created in the digestion process and direct them into the same fires that were used to create the steam. The oil and grease were sold on both American and European markets at a price that at the start of the twentieth century varied between 2 to 4 ½ cents per pound. The purchasers refined the greases into commercially valuable oils the chief constituents of which were glycerine, stearine, and red oil. After grease extraction, the tankage was used as fertilizer although it is not clear from the contemporary descriptions how the material was subsequently processed. If it was not applied directly to fields, the next step might be treatment with sulfuric acid. This is one means of making the phosphates soluble and thus bioavailable to plants. Another approach would have been to compost the material but the author has seen no mention of this being done, at least not deliberately. The industries on Barren Island are shown in table one. Although there were other rendering plants elsewhere in New York City, Barren Island was clearly the center of the industry. Dead Horse Bay on the west side of the island was named for the many carcasses unloaded there. Press reports of the period provide an idea of the scope of their activities. Shortly before the 1870s, the firm of P. White’s Sons won a contract with the Board of Health for removing dead animals from the City’s streets. The primary product of the company was the material recovered from the rendering process. In one five-day period in August of 1896 the company removed 1,256 dead horses from the streets of New York. The company had its own pier on the Hudson River and two steamboats to carry carcasses to Barren Island. By 1909 the facilities on Barren Island annually disposed of 19,000 horses, 380,000 dogs and cats, 1,000,000 pounds of condemned meat, 80,000 pounds of poultry, 3,500,000 pounds of fish, and 5,000,000 pounds of offal. In 1885, P. White’s Sons, managed by Thomas F. and Andrew J. White, were described as “manufacturers of Barren Island Fertilizers, Superphosphate of Lime; Dried Blood, Bone and Meat, &c.” It maintained an office on Peck Slip in Manhattan and a small plant near New Brunswick, New Jersey, but had its main plant on Barren Island. They had no shortage of raw materials in the form of blood, bones, and meat as their company controlled the dead animal and offal contracts for both New York and Brooklyn. In addition to the fertilizer sold under the name “Farmers’ Pride”, the company manufactured a number of specialty fertilizers including sulphate of ammonia, dried blood, and dried fish scrap. P. White’s Sons also sold horsehair, hides, glue stock, tallow, and grease. The location of the waste processing industries near the Long Island farms that helped feed New York City was particularly fortuitous. The sandy soils of Long Island needed massive nutrient inputs if they were going to help sustain a large urban population. Tankage, animal manure, and night soil were the most important sources of urban fertilizers. For many decades, the same carts, wagons, boats, and even railroads that carried crops to the urban centers carried manures back to the countryside. The shift to more “manure-intensive” vegetable production in western Long Island corresponded to the rise of horse-drawn transportation in Brooklyn and New York. All of the stable manure from Brooklyn, most of New York’s, and even a portion of Albany’s were used to fertilize farms on western Long Island. Manures were also available from the city’s dairy cows and pigs. By 1872, the typical market gardener near a large city would use as much fertilizer on one acre as other farmers used on 50 acres. Although tankage was not an ideal fertilizer, at least it did not have the limitations of manure, which by the late 1800s were becoming obvious. For modern readers who prize manure as an excellent organic fertilizer, it may be hard to understand why nineteenth century farmers grew increasingly reluctant to use it. Manure scooped off the streets was contaminated with other wastes although manure shoveled out of stables did not have this problem. Manure’s high moisture content made transportation inefficient. Moving manure was actually an exercise in moving water. Finally, it lacked sufficient potassium and phosphate for the needs of the region’s commercial farmers. But the biggest problem was that there was a lot of it. At first, the city realized considerable revenue through its sale. In 1845 the proceeds reached $45,000. In 1856 there were 22,500 horses pulling the public conveyances such as omnibuses, streetcars, and cabs plus and unknown number of horses pulling private carriages and wagons. By 1857 the revenues from the sale of manure disappeared completely. The sale of grease on the other hand, continued to be profitable as did the disposal of animal carcasses. In 1857 advertisements appeared in agricultural magazines promoting an “animal fertilizer” that was manufactured on Barren Island from the offal of New York City. This product was claimed to be “very powerful and lasting manure.” It could be purchased for $50 a ton in either barrels of bags. Expansion of the Waste Management Industries and the Sanitary Reforms of the 1890s. The reasons behind the sanitary reforms of the progressive era were varied, but as a seaport, New York City faced special problems and an imposed deadline. Ocean disposal of wastes had been seen as wasteful ever since agricultural chemists discovered the importance of nutrients in the 1840s. Rotting vegetables, straw, and other wastes were washing up on area beaches and interfering with the tourist business. But the largest push came from the federal government. Fearing interference with navigation, they ordered that ocean dumping of garbage cease after June 1, 1896. New York’s shipping interests supported this ban. The materials that could be salvaged and sold were broadly classified as “rubbish” and included paper, rags, glass, and metal. In the mid-1890s New York generated 950,000 cubic yards of rubbish annually. The city was offered $245,000 dollars annually for the privilege of culling this waste stream. The cost of culling was estimated to be $6,000 annually for every 50,000 city residents. But the city was at a loss for what to do about the organic waste, spoiled foods, offal, and slaughterhouse wastes. Landfills seem to have never been seriously considered perhaps because the city’s major landfill on Riker’s Island was a constant source of complaints about the odors. This left a choice between incineration and recycling. Municipal studies from the Department of Sanitation (1889) and the Office if the Mayor (1894) concluded that large-scale refuse combustion was both uneconomical and unproven. Early experience with this technology (at the time employing mostly low-temperature combustion under 675c) supported these conclusions. Staten Island’s three-year old municipal incinerator was closed by court order in 1898 after repeated complaints about the odors. A new incinerator on the same site failed after only one year. Having ruled out incineration, the city settled on waste reduction, the city had to choose between several competing waste reduction companies, each with a slightly different technology. The Pierce and Merz companies used a mixture of steam and light hydrocarbons (usually benzine and naptha) in a tightly closed vessel to extract the usable grease. The Pierce process used only naptha. The Arnold, Holthaus, and Preston companies used processes were described as being “purely mechanical” and used no naptha. Other cities also opted for waste reduction, often in response to the problems with incineration, a list of these cities and the process used in each is provided in table 2. After a careful examination of the companies and the competing technologies, the city decided that steam without naptha extraction would be adequate for the city’s needs and invited bids for the new reduction plant. After two rounds of bidding, Arnold won a five-year contract that required them to build the world’s largest waste reduction plant. The $89,900 that would be paid by the city each year was estimated to be approximately equal to what it would cost the company for the barge transport of garbage between Manhattan and Barren Island. The Arnold Company would make its profits entirely from the sale of grease and tankage. At the time that the contract was awarded, the plant was expected to receive about 600 tons of garbage every day. Since the price crude grease was 3 cents per pound and tankage was $6 a ton, the Arnold Company could expect to make $1,000 a day from grease and another $600 from in tankage. (The fertilizer values of kitchen waste and tankage are shown in tables 3 and 4) Shortly after the contract was awarded the price of grease dropped to 1.5 cents per pound but the volume of garbage increased and it was hoped that these two trends would cancel each other out and the company would continue to make money. The Arnold Company seems to have disappeared from the historical record and its place taken by New York Sanitary Reduction Company. The company was incorporated in New Jersey with $1,000,000 in capital and would have a five-year contract with the city. The president was David Martin, a famous Philadelphia political boss, the Vice President was Thomas F. White of New York, Secretary William W. Gooch, and the treasurer was W.V. Cranford who was affiliated with a Brooklyn contracting firm. The firm of P. White’s Sons already had a large plant on Barren Island and was its largest landowner and its largest employer. At the time that the New York Sanitary Reduction Company was founded, P. White’s Sons already had contracts with a number of the city’s leading hotels for the removal of garbage. A report made to the Institute of Civil Engineers said that the 48 digesters each had a capacity of ten tons (as opposed to the six tons quoted in earlier press reports), stood 14 feet high, and had a diameter of 5′ 6″. The bottoms of the digesters were conical and the tops were dome-shaped. The digester was first filled with water to a depth of three or four feet and then filled with garbage. The hatches were closed and steam was admitted into the jacketing. This raised the temperature inside to boiling and the pressure was allowed to stand at 30 to 80 psi for eight hours. The tankage was dropped out the bottom and into a sheet-iron receiving tank and any residual water was allowed to drain off. At this point the garbage should, in theory at least, be odorless because bacteria had been destroyed in the cooking process. Any noxious gasses released during the heating cycle would have be captured and sent into the steam boiler’s firebox. The receiving tanks in turn emptied their contents into gunny sacks about 30 inches square which were then closed and stacked in one of 12 screw press each about four feet square. Pressing removed the last of the grease and water. 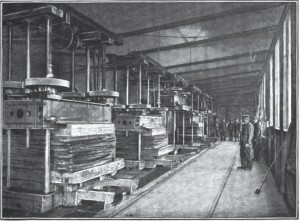 (Figure 5) The stack was pressed at 240 tons of pressure although it is not recorded how this was achieved, with hydraulics or some system of gears and screws. After pressing, the grease was washed with water to remove impurities while the tankage was sent to driers. In the drying house, the tankage was dumped into a pit where a masticating machine kept it stirred. From the pit it went into one of more than a dozen driers. These were steam-jacketed horizontal tanks, 16 feet long with stirring arms attached to a rotating shaft. The drying operation lasted three to six hours. When the moisture content reached 10% the tankage was screened before being bagged for sale as fertilizer. There were two waste products from the process, the fumes from the driers and the residual liquids. The fumes were destroyed through a combination of a water spray, heated retorts, and finally a tyre directing gasses into the “hottest part” of the furnace that supplied heat for the steam boilers. In writing about the process, Waring did admit that some of the noxious gasses still escaped and were free to offend the neighboring communities. The residual liquids squeezed from the tankage were described as being a “dark-colored caromel refuse” was piped into the Rockaway Inlet. Waring claimed that the discharge could “do no harm whatsoever” because the volume was small compared to the tidal currents. However it was possible to trace the effluent 100 feet back to the discharge pipe by its color. Waring may well have believed that the effluent was harmless but his attitude is somewhat naive. The effluent pipe would have sent the discharge toward Coney Island when the tide was going out, and towards Rockaway and Canarsie when it was flowing in. The ultimate solution was to send the liquid to an evaporator, remove the water and add the thick, organic-rich remainder to the tankage. The New York Times took pains to reassure its readers that the new plant would not be a problem for the city. Barren Island was “so remote” that “few New-Yorkers would know how to find it.” Works of this type, so readers were assured, when properly operated would not produce offensive odors. It seems not to have occurred to the writer in the Times that Barren Island was only a short distance from Coney Island, Rockaway Point, and Canarsie. 500 to 1,000 recreational anglers arrived at Jamaica Bay every day during the summer and the estimated value of the hotels, boat liveries, tackle shops, and other infrastructure supporting recreational fishing exceeded $200,000. Fishing was only one of several attractions for visitors, other came for the beaches, boating, and amusement parks. With tourist dollars at stake and a growing suburban population, protests against the plant began shortly after it opened. Nearby residents deemed the plant a nuisance and made plans to bring a lawsuit. Fishermen and oyster planters meanwhile objected to the liquid discharges into the bay. 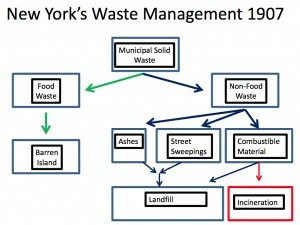 At the time that the New York Sanitary Reduction Company plant was opened, New York generated about 800 tons of garbage daily. As there was little or no excess processing capacity, landfilling and ocean disposal would continue. In 1910, the New York Sanitary Company’s plant on Barren Island was described as being three stories high, having a sloping metal roof, and a 150-foot high yellow brick chimney. Beside the plant was a facility owned by the company that cremated the city’s dead animals. These facilities were on the eastern side of the island while the remaining plants and several hundred workers’ huts were clustered on the western side of the island. Brooklyn also decided at this time to adapt waste reduction technology. Brooklyn’s City Works (Theodore Willis) and Health (Emory) commissioners signed a five-year garbage removal contract with the Brooklyn Sanitary Company (H. Cranford President) in December of 1896. The contract called for daily collection of kitchen wastes and also for the immediate removal of the garbage which had been accumulating in empty lots and on the streets. But it did not specify the means of ultimate disposal, only calling for a disposal plant with a capacity of 500 tons every 24 hours and that construction of the plant would start within thirty days of the contract being signed. A few weeks before the contract was signed the Brooklyn Sanitary Company announced that they would use the plants already on Barren Island until their own plant was ready. As the contract moved forward the company announced that it would adopt the Arnold system of waste reduction for its own plant. Responding to concerns about potential odor problems, Mayor Wurster personally contacted officials in Philadelphia to ask whether the system was a nuisance. Philadelphia at the time was one of the largest cities using the Arnold process. The Brooklyn Sanitary Company was owned and operated by F.L Cranford, President, W.V. Cranford, secretary, and their father J.P. Cranford, a well-known Brooklyn contractor. They promised in November of 1896 to spend $200,000 for the 500-ton per day capacity waste processing plant and that it would be operational by May of 1897. Their bid for the five-year contract was $605,000 which J.P. Cranford claimed did not cover expenses. The revenue would be made up by the sale of grease and fertilizer. The plant was operational in 1897 and the odors coming from it were described as being no worse than would be experienced in a “large hotel kitchen.” Any tankage not sold for fertilizer became fuel for the boilers. The syrupy waste-water was treated in vacuum evaporators so the last remaining materials could be recovered and added to the tankage. Fertilizer manufacturers enriched the tankage with phosphates and other nutrients then sold it to cotton cultivators in the southern states. As the final sifting of the tankage took place, the operator of the sieves, described only as a boy (his age was not given) claimed silverware that “careless servants” threw into garbage pails. Although the 1896 contract between the City of Brooklyn and the Brooklyn Sanitary Company was to run five years, the consolidation of the Bronx, Brooklyn, Queens, Staten Island, and Manhattan into the City of New York meant that the contract had to be terminated. The Brooklyn Sanitary Company began the new century with a day-to-day contract that could be canceled at any time by the Commissioner of Street Cleaning. This was a serious threat for any of the waste reduction companies because the Commissioner controlled the garbage collection and transfer to barges at the waterfront. Without a steady supply of sorted garbage, the plants could not operate. In 1902 the first five-year garbage disposal contract for Brooklyn would be awarded to the New York Sanitary Utilization Company. The company underbid three rivals with a low bid of only $47,990. The Brooklyn Sanitary Company did not bid on the contract. No explanation was given for this decision in the press reports. However the low bid did not include street cleaning or collection of garbage. The City’s Street Cleaning Department was supposed to supervise those activities. Not much is known about the day-to-day life of the people who worked on Barren Island as press access to the island was controlled by the factory owners. A few elderly New Yorkers who lived on the island as children have contributed to Internet bulletin boards but the author has not located other first-hand accounts of life on the island. They remember scavenging the area for gold objects, coins, and even jewelry that found their way into the waste streams but one elderly resident was very insistent that Barren Island was “very, very clean” and the dumps that modern observers see along the shorelines came later. The most famous resident of the island was Miss Jane F. Shaw, the principal of the Barren Island public school from 1919 to the early 1930s when the last of the waste processing companies and its resident workers were being evicted to make room for Floyd Bennett Field, New York’s first municipal airport. Shaw is remembered as standing up to Robert Moses and convincing him to delay the eviction until the island’s schoolchildren could finish the school year. On January 2, 1914 a new contract was signed between the city and John J. Hart of the New York Disposal Corporation. New York Disposal leased the plant on Barren Island belonging to the New York Sanitary Utilization Company. The process used was by New York Disposal was largely unchanged except that naphtha was used as a solvent after pressing the tankage to extract the last of the grease. The contract provided that the company process the garbage of Manhattan, the Bronx, and Brooklyn. These three boroughs were generating 412,000 tons of garbage annually. On Staten Island and in Queens, garbage was mixed with ashes and rubbish and sent for incineration. The expansion of the garbage processing operations beyond Barren Island and into other portions of Jamaica Bay had appeared to be inevitable. In 1913 it was observed that the plants on Barren Island were so long established that any subsequent development would occur in areas that were already (in theory at least) accustomed to the presence of the plants. But the contract with New York Disposal came at a time when the wishes of the city’s residents could no longer be ignored. In the spring of 1912 the city signed a new waste disposal contract. In order to meet its obligations to the city the contractor needed to build a new plant and selected Ruffle Bar Island as the site. The island is near the center of the bay, close to Barren Island and about one mile from the residential section of the Rockaway Peninsula. Opposition came from the property owners in Rockaway, Belle Harbor and Neponsit. Opponents noted that the site was near a stretch of ocean beach that the city had purchased for $2,000,000. 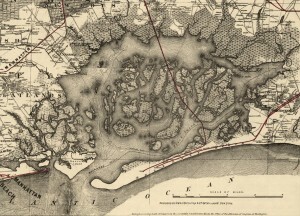 They also argued that instead of using any site in Jamaica Bay the city could construct artificial islands similar to Hoffman and Swinburne Islands off the east shore of Staten Island. A new waste processing site on Rikers Island was considered. The island was already home to a smelly and offensive landfill. Portions of Queens and the Bronx were downwind of the landfill so there was no shortage of political opposition. The city’s Board of Estimate next turned its attention to Staten Island. A number of things were changing the economics as well as the politics of waste processing. With the outbreak of the First World War the demand for waste reduction products would increase sharply. Glycerine could be used to manufacture nitroglycerine. Grease was widely used in many industries and the worldwide need for fertilizers would increase the value of tankage. Perhaps because the United States was still officially neutral, none of the companies involved in waste reduction openly declared their intention to become war industries though it is clear from subsequent events that this was what they became. One political argument for moving waste reduction out of Jamaica Bay was that the new operators promised to increase the payments to the city. Additionally, the negative effects of landfills, waste reduction, and incineration were wearing out the public’s patience. Once plans for a new waste reduction plant on Staten Island were announced, a group of residents promptly sought an injunction against the Board of Estimate. When the courts vacated the injunction, the board immediately voted 8 to 3 in favor of building the plant on Staten Island. During the meeting at which the vote was taken, Borough President Calvin Van Name protested strongly but was overruled. Van Name then began a lengthy speech about the project, an action that made a number of persons at the meeting suspicious. Suddenly, Edward W. Brown, identified only as a “Staten Island taxpayer,” burst into the meeting waiving a second injunction. Brown pushed his way to the Mayor Mitchell who was presiding over the meeting. Brown claimed that the injunction forbade the city from proceeding with the plant on Staten Island, Mitchell examined the document and noted that the injunction merely “put a stop to reconsideration of our previous action.” With that, he adjourned the meeting. A few minutes later, a contract was signed with the firm of Gaffney, Gahagan, and Van Etten. The firm agreed to pay the city $900,000 over a period of five years for the privilege of processing the city’s wastes. The company posted a $250,000 bond to guarantee that their plant was to be operated without generating odors and be ready for operation by January 1917. The mayor claimed that contract would save the city $1,000,000 annually. The new plant was built close to the point where the Little Fresh Kill and Great Fresh Kill met. (“Kill” is a Dutch word for creek.) The site selected was an island in the kills that was about half a mile east of the Arthur Kill separating New Jersey from Staten Island. The plant was intended to process the garbage from Manhattan, the Bronx, and Brooklyn. Where garbage from Staten Island and Queens would be processed was not mentioned in the press reports. The plant’s designers elected to use the Cobwell Process. Unlike the processes used at Barren Island, the reduction tank was steam-jacketed so that the steam and garbage would not be mixed. A low-boiling point solvent, usually gasoline, was pumped into the tank and heated by the steam. A mixture of water, grease, and gasoline evaporated from the tank and condensed. Once the water was allowed to separate out by gravity, the grease was separated from the solvent that was then re-used for another batch of garbage. Waste reduction plants using the Cobwell process were more expensive to build but were more efficient. Within a year of the Staten Island plant being opened, the Metropolitan By-Products Company recovered enough grease for 70,000,000 cakes of soap, 1,500 tons of nitrogen, and 2,000 tons of phosphoric acid and potash. The Cobwell process was credited with recovering enough material to manufacture 700,000 pounds of high explosives. Within a year of the plant being opened, a Staten Island grand jury declared it a nusiance. But with the United States now in the First World War the nitrates, glycerine, and fertilizer were considered vital war materials and the government seriously considered, taking over the plant. The Federal Government never took over the plant and it was closed by the end of the war on the orders of the City’s Health Commissioner. The commissioner was accused of closing the plant in response to political pressure from Staten Islanders. Once the plant on Staten Island was in operation, the plants on Barren Island began to close. While the relief was palatable in Brooklyn, the Staten Island plant was experiencing financial difficulties. It had been taken over by the Metropolitan By-Products Company which had operated on Barren Island. By the summer of 1919 Metropolitan By-Products was in receivership. This complicated the city’s planning process and made the future of both Barren Island and Fresh Kills uncertain. Without a company to operate the plant, the city turned to the New York Sanitary Utlilization Company and the people of Brooklyn feared that the odors from Barren Island would once again be wafting their way. Despite earlier bad experiences, during the administration of John Francis Hylan (1918 to 1925) the city resumed ocean dumping. Both waste reduction and incineration had bad reputations that prevented their widespread re-adoption. As a result, by 1925, 80% of the 10,000,000 cubic yards of waste materials generated annually was dumped in the ocean and only 20% percent was being incinerated. In 1925, Frank D. Waterman, a Republican candidate for mayor, reminded members of a Republican club that under Democratic Mayor Hylan, the city resumed dumping garbage at sea. Under previous administrations, especially Mayor Mitchell’s (1914 – 1917), the city sold its waste products for a profit. Waterman pointed out that disposal at sea was supposed to be a temporary expedient during the First World War, and that the Tamminy-backed Hylan administration promised to solve the garbage problem in 1917 and 1921. Waterman went on to say that from 1896 to 1914 the garbage of Manhattan, Brooklyn, and the Bronx was processed on Barren Island for which the city paid an average of $208,000 a year. When the city signed the contracts with John J. Hart in 1914, the city was not obliged to pay anything to Hart. Instead it would receive $262,500 a year for three years. 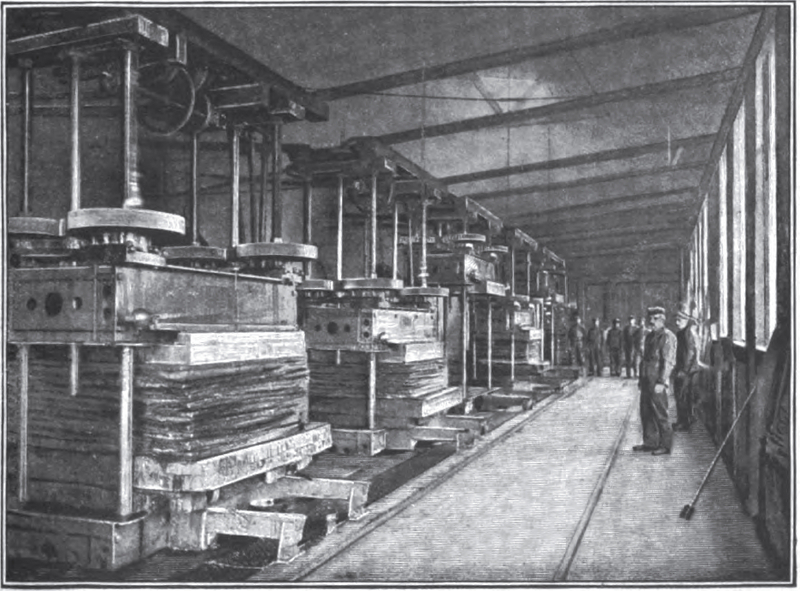 In 1916 the city signed a contract with the Metropolitan By-Products Company for five years. Metropolitan By-Products agreed to pay the city $900,000 annually and it built a new reduction plant on Staten Island. Between 1917 and the early part of 1918 the company paid the city $182,500 but by October of 1918 Metropolitan By-Products was in receivership. Waterman blamed Mayor Hylan who had taken office in January of 1918. Hylan was opposed to the contract with Metropolitan By-Products and Waterman attributed the company’s plight to Hylan’s opposition although he did not actually explain what Hylan actually did or did not do. By the beginning of the twentieth century, it became clear that no site in New York City was sufficiently removed from population centers to make it suited for waste disposal. The construction of the waste reduction plant on Staten Island marked a turning point where public opinion and political considerations would play a greater role in waste management decisions. Complaints about the odors from Barren Island begin appearing in the 1860s and there were increasingly frequent calls for the waste processing operations to be shut down. Editorial writers took a more nuanced viewpoint. In 1869 an editorial in the Brooklyn Eagle took Brooklyn’s Health Commissioners to task for favoring the operation of “stink factories” in populated locations. However in the same editorial they asked how the City of Brooklyn was to dispose of its offal and other wastes except on Barren Island? In July of 1879 the Brooklyn Eagle reported that a Grand Jury had concluded an inquiry into Barren Island and the “alleged nuisances theron.” After listening to witnesses and visiting the island they concluded that the waste management operations could be conducted without “offense or injury” to the neighboring communities. They noted that operations on the island were of critical importance to both Brooklyn and New York and that a large sum of capital was already invested in the plants. Although they returned no indictment, they did recommend that the operators do all in their power to abate any nuisances. If they failed to do this, a future grand jury was still free to return an indictment. Even before the opening of the Sanitary Reduction Company’s plant, the residents of the towns of Flatbush, Flatlands, and New Lots were forced to keep their windows closed when the summer winds came from the south. Protests by residents of Flatbush got nowhere because the island was under the jurisdiction of the town Flatlands, whose own Board of Health did nothing about the situation. This was before the consolidation of these individual towns into the Borough of Brooklyn. The protesters soon found a way around this, they appealed to the State Board of Health and the Secretary of the State Board next called for a public meeting. The meeting was held in the Canarsie school house. There were complaints not only about the odors but the greasy, residual liquids from the tankage that were being discharged into Jamaica Bay. These were said to float on the surface of the waters, cling to sides of boats, kill fish, and by attaching to oysters and clams, rendered them unfit for human consumption. This was a serious threat to the livelihoods for many families in Canarsie. A group of 18 fishermen signed a petition calling for another public meeting that would devise ways to “abate the nuisances which exist detrimental to the interests of the inhabitants of this town.” The meeting ended with a resolution that the State Board of Health be authorized to do something about the nuisance. By the 1880s, what had once been a remote estuary had become New York City’s playground. Yacht clubs, outing clubs, fishing and hunting clubs, campers, and recreational fishermen all used the waters of Jamaica Bay. New passenger railroads brought day-trippers to the beaches of the Rockaway Peninsula and the growing resort towns of Canarsie, Howard Beach, Broad Channel, and Bergen Beach. Just outside of the bay’s entrance, Coney Island became the destination for low-budget day-trippers and Manhattan Beach became the resort for wealthy vacationers. Between 1880 and 1910 a number of large-scale suburban development marched westward along the Rockaway Peninsula culminating with Belle Harbor (1907) and Neponsit (1911). These two neighborhoods lie between the Rockaway Park subway station to the east and Jacob Riis Park to the west. Even tourists on one of the most popular routes to the beaches were not spared exposure to the odors. To travel from the railhead at Canarsie to the beaches of the Rockaways, for example, it was necessary to cross the bay near Barren Island. 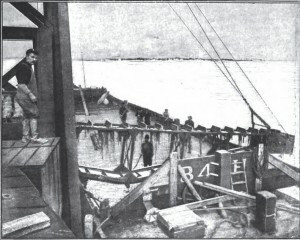 The Brooklyn Eagle reported in August of 1899 that steamboat passengers on Jamaica Bay were exposed to a belt of smells from horse-boiling works, menhaden oil works, offal baking works, and garbage drying plants. Another round of hearings into Barren Island’s smells were convened at the behest of Frederick Dunton, president of the Rockaway Park Improvement Company at the Everett House in New York. The hearing resulted from a petition submitted by Dunton to New York Governor David B. Hill in October of 1890. The petition alleged that the fertilizing establishments on Barren Island were public nuisances and detrimental to the health of the people living in the villages around the bay. Governor David B. Hill referred the matter to the State Board of Health. The Board held a special meeting at their Albany headquarters where they appointed a three man committee to make a report and submit it to the Governor. At the hearings were the three-man committee, Ex-Senator Thomas Newbold, Chairman of the State Board of Health, and Doctors Lewis Balch and Florence O’Donohue representing the State Board of Health. The hearing room was filled with witnesses. The Brooklyn Eagle reported somewhat incredulously that the witnesses included a number of women who were present to testify that the odors of dead horses and drying fish scrap were innocuous. Some years later the New York State Department of Health held hearings on reduction plants and their final report identified twelve reasons why garbage reduction created nuisances. These are listed in Table 5. A February 1900 editorial in the Brooklyn Eagle noted that the State Legislature in Albany would be conducting hearing about the odors coming from Barren Island. The editorial noted that there was no “healthful and inoffensive way” to dispose of refuse. Science, they wrote, stands “helpless before this elementary problem.” If refuse had to be recycled into fertilizer, the owners and managers of reduction plants claimed that it was done without “injury to health or offense to the senses.” Indeed one of the plant managers claimed the only odor was like that of chocolate. The Brooklyn Eagle pointed out that the plants have tall chimneys that carry the fumes into the air. This should have solved the problem but by the time that the plume of smoke reached the other side of the bay, it had descended to ground level. The newspaper gleefully predicted that it would not be long before the State Legislature would learn that the residents near the plants did not find the fumes very much like chocolate. Shutting down the plants would not be easy. As of 1899 the sale of recovered materials from Barren Island was netting $2,000,000 a year. These revenues financed garbage collection and without them, the city would be forced to finance its own collection routes. It was also noted that in addition to resource conversion, there was the business of recovering tin cans, rags, and paper. The oil was still an important industrial feedstock and used to manufacture soap, hair oil, candles, lubricants, and other products. But these considerations did not prevent the State Legislature from trying to shut the plants down. A law provided that after May of 1901, it would be illegal to render or boil, garbage, swill, or offal in the borough of Brooklyn. Because the contracts between the city of New York and the New York Sanitary Reduction Company had more that a year to run beyond the May 1901 date, the company sued the city. Justice Francis M. Scott of the Manhattan Supreme Court heard the case and ruled that the act violated the constitution because it did not declare the business to be a nuisance (which under common law would entitle injured parties to injunctive relief) or prohibited the activities in any other part of the city. Lastly, Justice Scott ruled that even if the legislature had the right to cancel a contract whose purpose was the preservation of public health, it could not do so without providing compensation for the injured party. In considering alternatives to the process, the Brooklyn Eagle noted that ocean dumping was wasteful and not very effective. Instead of going the required forty miles out to sea, the scows were only going six to eight miles. Incoming tides brought the garbage onto the beaches of Coney Island, Rockaway, and even Long Beach (New Jersey?). The wastes that washed up on the beaches festered in the sun and bred, “maggots and flies by the millions.” Continued use of Barren Island as a disposal site would not have solved the odor problem. Other observers noted that in addition to putrified garbage, other sources of offensive odors included the plants that processed dead animals. Burning unsold tankage for fuel contributed yet more odors. Alternative disposal sites on the New Jersey Shore and Staten Island were considered. The former location was rejected due to anticipated community opposition while the latter seemed preferable since it was already under a constant cloud of smoke from New Jersey’s oil refineries. Even so, it was noted that the borough was developing rapidly and new residents would certainly object to garbage processing plants in the community. Another option was an artificial island twenty miles off shore. Such a scheme was already under consideration as a gambling resort. Many things happened in and around Jamaica Bay at the turn of the twentieth century. Among the most significant developments were plans for a massive new seaport drawn up in anticipation of the Panama Canal’s opening. Between 1904 and the late 1920s a number of deeper channels were dredged and the creeks along the northern shore were straightened, widened, and dredged for new docking basins. This was during the same period when the city was phasing out waste reduction in favor of ocean disposal and landfills. Although the seaport was never finished, much of the shoreline was filled in using a mixture of ashes and street sweepings. There were still many horses in the city and the manure made street sweepings unwelcome anywhere else. This practice was welcomed by the Navy because they worried that ocean disposal of garbage and ashes would create a menace to navigation. As the plans for a new seaport slowly died during the first years of the Great Depression, the city decided that Jamaica Bay should become parkland and placed the area under the control of the Parks Commissioner, Robert Moses. In 1933 newly elected mayor Fioerello La Guardia tapped Moses to run the city’s parks. He agreed to accept the job of Parks Commissioner on two conditions, the office had to be made city-wide and his responsibilities would also include parkway construction. Thanks in part to a willingness to fill in wetlands, by 1938 a belt of Moses’ parkways had already begun to encircle Brooklyn and Queens. In 1934 construction began on the Belt Parkway. Lined with green spaces along its entire length, the Belt Parkway ran south along the Brooklyn shoreline, swung inland north of Coney Island, and returned to the shoreline to run along the north shore of Jamaica Bay. The Belt Parkway did create parkland and open space along the bay shore but it required extensive wetlands filling and also cut off the bay from many of the surrounding neighborhoods including Flatlands, Mill Basin, Canarsie, and East New York. Yacht clubs, recreational anglers, and other users no longer had access to the water. Creating parks on the shoreline meant creating land, often with garbage such as at Brooklyn’s Marine Park that created using garbage as fill. A 1930s era park on Brooklyn’s Avenue U was built on filled in marshlands along the Gerritsen Creek. The Department of Sanitation proposed using the bay’s marshes as a convenient dumping ground but Moses countered with a massive public relations campaign. Pamphlets issued by the Parks Commission depicted smoking mounds of garbage in the bay with noxious fumes wafting toward the surrounding communities. As an alternative to this “Civic Nightmare,” the pamphlets depicted blue water ringed with beaches and dotted with sailboats. Jamaica Bay remained a park. In 1948 Fresh Kills on Staten Island was opened as a “temporary” landfill and was only intended to remain open until enough land was created for residential, commercial, and light industrial development. But Fresh Kills would not be temporary. Before it was finally closed in 2001, it had grown to a height of 505 feet and covered a site 2.8 by 3.8 miles. As one former New York sanitation commissioner observed, garbage has its own imperative, “Unlike polluted air and fouled water, which can be talked about endlessly, garbage must be put somewhere…” Parkland or not, the Department of Sanitation seriously considered filling Jamaica Bay with garbage once Fresh Kills reached capacity. However Fresh Kills remained open, out of state landfills accepted the city’s garbage, and recycling programs reduced the volume of waste. Even so, three modern landfills operated on Jamaica Bay until the 1980s and 1990s. The 110-acre Pennsylvania Avenue Landfill was opened in 1956 and closed in 1979 when it was receiving 1000 to 2000 tons of trash each day. The 287-acre Fountain Avenue landfill operated between 1961 and 1985. It took in commercial and residential trash, asbestos, and incinerator ash. During its last year of operation, the Fountain Avenue Landfill received 8,200 tons of trash per day. The 173-acre Edgemere Landfill forms a peninsula extending northwards into Jamaica Bay. Between 1938 and 1991, the landfill received more than 9 million cubic yards of waste. These landfills remained in operation after Jamaica Bay became a National Wildlife Refuge. A century after the neighborhoods around the bay attempted to get the industries on Barren Island to close, waste disposal and recreation were still in conflict in Jamaica Bay. The question naturally arises if the waste reduction plants remained open, would there have been a need for so many landfills? The answer is sadly no as the waste reduction industry only handled a portion of the city’s total waste streams. The working conditions were deplorable and the odors disgusting but allowing the waste reduction industry to die out was clearly a step backwards. Today many cities are striving to re-learn the lessons of composting food wastes and recycling potentially valuable rubbish that cities at the turn of the century had mastered. When the first waste management industries were established on Barren Island the city’s regulatory umbrella extended only as far as the waterfront. Once the waste products left the city, there was only a contract for disposal but no laws or regulations governed how or where they would be processed. 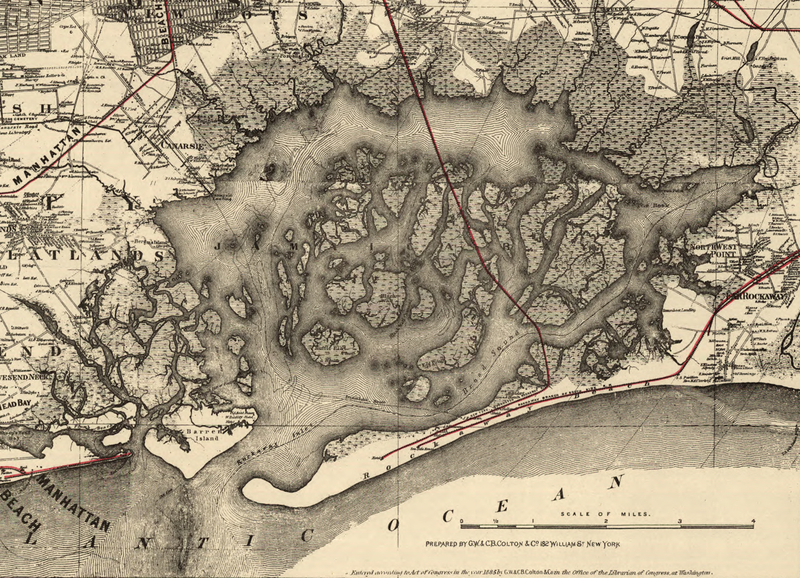 Such an arrangement could last only as long as the city did not grow around Jamaica Bay. The increase in waste volumes as a result of the sanitary reforms of the mid 1890s showed that waste management sites had become as unwanted as they were necessary. Attempts to expand the industry and to move it onto Staten Island both failed in the face of local opposition. Little has changed in urban waste management in the last 100 years. The sale of recovered materials was, and still is, necessary to recover the costs of recycling and collection. Local opposition to waste management facilities has always been strong although in recent years tipping fees have sometimes reduced local resistance. While there were no tipping fees paid to communities near Barren Island, the waste industry did finance trash pickup in large portions of New York City. Even this was not enough to protect the industry from public opposition. With all of its problems, the waste management infrastructure in Jamaica Bay did at least represent a significant attempt to come to grips with a pressing public health problem and find a long-term solution to the problem of waste disposal. Robin Nagle, “Gotham and its Garbage,” Lecture at the Montclair State University Sustainability Science Seminar Series, Montclair, NJ, September 2009. William Rathje and Cullen Murphy, Rubbish! The Archaeology of Garbage (New York, 1992), 42. Virginia Scharff, “Cleaning up, Moving Up,” The Women’s Review of Books, 13 (October, 1995), 1-3. Rathje and Murphy, Rubbish!, 41. Colonel George E. Waring (1833-1898) served as New York City’s Commissioner of Street Cleaning. He was appointed by Mayor William L. Strong in December of 1894. Under his direction the city undertook a number of sanitary reforms. The most visible reform was the employment of 1,500 white-uniformed street sweepers. Waring was born in Poundridge, New York, and educated as an agricultural chemist. Although he managed a number of farms in New England and the northeast he came to prominence as a drainage engineer. He served on a number of projects including New York’s Central Park. During the Civil War he rose to the rank of Colonel of Calvary and served mostly in the southwestern theatre. His tenure in New York was relatively short lived, James McCartney was appointed by Mayor Van Wyck to succeed Waring in 1898. Waring was then asked by the War Department to serve on a team studying the sanitary conditions in Havana and their relationship to the spread of Yellow Fever. Waring himself contracted the disease but the symptoms did not develop until he was en-route back to his home in New York. Waring died at his New York home on October 29th, 1898. “Career of George E. Waring Jr.,” New York Times, Oct. 30, 1898, p. 1. Edwin G., Burrows, Gotham: A History of New York City to 1898 (New York, 1999), 588. Edward K., Spann, The New Metropolis: New York City, 1840-1857 (New York, 1981), 161. Benjamin Miller, Fat of the Land: The Garbage Of New York – The Last Two Hundred Years (New York, 2000), 17. Miller, Fat of the Land, 34. S.P., Sharples, “The Disposal of Animal Refuse,” The Manufacturer and Builder, 6 (Oct. 1874), p. 234. Ezra Champion Seaman, Views of Nature, and the Elements, Forces, and Phenomena of Nature, and of Mind (New York,1873), 23. Sharples, “Disposal of Animal Refuse,” 234. City of New York Commission on Street Cleaning and Waste Disposal, Report of Commission on Street Cleaning and Waste Disposal (New York, 1907), 94. “To Use New York Garbage,” New York Times, 27 Sept. 27, 1896, p. 14. Charles Baskerville, ed., Municipal Chemistry, A Series of Thirty Lectures By Experts on the Application of the Principles of Chemistry to the City, Delivered at the College of the City of New York, 1910 (New York, 1911), p. 322-336. Richard Edwards, ed., New York’s great industries: Exchange and commercial review, embracing also historical and descriptive sketch of the city, its leading merchants and manufacturers (New York, 1884), p. 193. Marc Linder and Lawrence S. Zacharias, Of Cabbages and Kings County: Agriculture and the Formation of Modern Brooklyn (Iowa City, 1999), 50. Linder and Zacharias, Of Cabbages and Kings County, 47. Linder and Zacharias, Of Cabbages and Kings County, 49. Miller, Fat of the Land, 49. The Cultivator, April, 1857, 135. “The Garbage Question,” Brooklyn Daily Eagle, 5 February, 1896, p. 1. George E. Waring, “Great Business Operations III., The Utilization of City Garbage,” The Cosmopolitan, 24, (February 1898), 405-412. Daniel C. Walsh, “What lead to the Rise and fall of Incineration in New York City?,” Environmental Science and Technology 36, (August 2002), 317A – 322A. “Object to Cremators Near Them,” New York Times, 14 October 1896, p. 11. Waring, “The Utilization of City Garbage,” 405. “To Use New York Garbage,” New York Times, 27 September 1896, p. 14. “The Barren Island Garbage-Reduction Works, Greater New York,” Proceedings of The Institution of Civil Engineers Session, 1889-1900, p. 139; (1900), p. 388-389. “To Use New York Garbage,” p. 14. “Jamaica Bay Fishermen,” New York Times, 12 March 1890, p. 1. “The Barren Island Nuisance,” Brooklyn Eagle, 11 June 1896, p. 6. 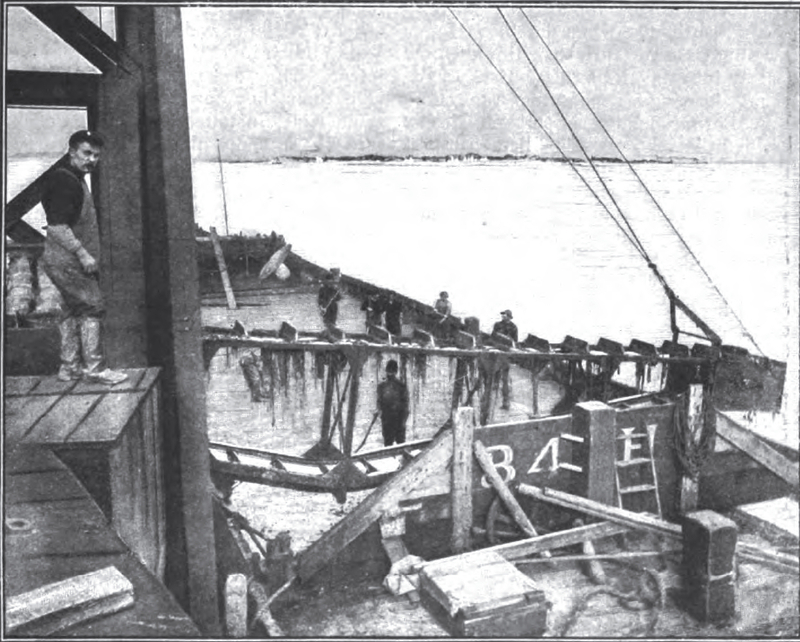 “Fatal Explosion on Barren Island,” New York Times, 10 May 1910, p. 4. “Garbage Contract Awarded,” Brooklyn Daily Eagle, 11 December 1896, p. 1. “Garbage Contract Executed,” Brooklyn Daily Eagle, 12 December 1896, p. 14. “Wurster and Garbage,” Brooklyn Daily Eagle, 21 November 1896, p. 14. “Sanitary Company’s Plans,” Brooklyn Daily Eagle, 18 November 1896, p. 16. “The City’s Garbage Plant,” Brooklyn Daily Eagle, 1 December 1897, p. 5. “Nagle Plan Carried out by Successor Woodbury,” Brooklyn Daily Eagle, 15 April 1902, p. 2. Unquestionably the worst working conditions in waste management were those who worked “under the dumping boards.” Whole families lived under the piers where the trash carts were tipped over and poured trash onto the scows. The workers pulled salvageable materials out of the waste streams and separated them for later resale. Other workers called “scow trimmers” worked on the scows and were responsible not only for balancing the load but shoveling it into the sea once they reached the dumping grounds. They rode the scows in all weathers and could be thrown overboard in stormy conditions. Kevin Olsen, unpublished manuscript. “Building Cut in Two to Save it from the Sea,” New York Times, 28 November 1905, p. 18. Robert M. Coates and Charles Cooke, “The Talk of the Town, Lady,” New Yorker, 1 August 1931, p. 7. New York State Department of Health, 37th Annual Report of the New York State Dept of Health, Vol II, Albany, NY: Division of Sanitary Engineering, 1917, 751. “Garbage Plans Menace Property, Summer Residents Alarmed by Proposal to Build Disposal Works on Ruffle Bar Island,” Greater New York 2 (Sept. 1913), p. 9. “Garbage Disposal Goes To Richmond,” New York Times, 11 April 1916, p. 8. Gustave R. Tuska, “The New Garbage Reduction Plant for the City of New York,” Chemical Engineer and Manufacturer 24 (November 1916), p. 199. New York State Dept of Health, 37th Annual Report, 751. Tuska, “Garbage Reduction Plant,” 199. “What Can be Done with Garbage?,” American Journal of Public Health 8 (February 1918), p. 176. “Condemn Garbage Plant,” New York Times, 22 June 1918, p. 7. “Confer on Garbage Plant,” New York Times, 26 July 1918, p. 9. “Waste In Garbage Disposal Charged,” New York Times, 27 June 1920, p. 23. “Garbage Plant To Remain,” New York Times, 30 August 1918, p. 15. “Garbage Contract Upheld; Court Finds City’s Agreement for Refuse Disposal Properly Made,” New York Times, 26 July 1919, p. 20. “Hylan Asks Garbage Facts; Also Tells Brooklynites Staten Island Plant Won’t Be Used,” New York Times, 2 November 1918, p. 17. “New Ways are Sought to Keep the City Clean; New York Authorities Harassed by Problem Now Met by Dumping Most of Garbage Into Sea, an Unsanitary Method Abandoned Elsewhere,” New York Times, 1 February 1925, p. XX5. “Waterman Assails City Garbage Plan,” New York Times, 5 September 1925, p. 4. “The Health Commission Propose to Sink the City Offal Boat,” Brooklyn Daily Eagle, 22 July 1869, p. 2. “Indignant. The Residents of the Country Towns and the Barren Island Nuisance,” Brooklyn Daily Eagle, Jan. 30, 1881, p. 4. “Excited, the Residents of Flatlands Protesting Against the Barren Island Nuisance, Brooklyn Daily Eagle Tuesday, Feb. 1, 1881, p. 3. “The Barren Island Nuisances,” Brooklyn Daily Eagle, Friday, Nov. 07, 1890, p. 4. “Barren Island,” Brooklyn Daily Eagle, Aug. 14, 1899, p. 6. “Barren Island, Its Noxious Fumes subject to further Inquiry,” Brooklyn Daily Eagle, Nov. 25, 1890, p. 6. “The Barren Island Nuisance,” New York Times, Oct. 19, 1890, p. 1. “Barren Island, Its Noxious Fumes subject to further Inquiry,” Nov. 25, 1890, p. 6. “The Barren Island Zephyrs,” Brooklyn Daily Eagle, Feb. 14, 1900, p. 8. “Barren Island,” Aug. 14, 1899, p. 6. “Constitution Extends Even to Barren Island,” Brooklyn Daily Eagle, Nov. 10, 1900, p. 6. “Barren Island,” Brooklyn Daily Eagle, 14 August 1899, 6. “Improvement Programme For The Port Of New York, Dock Commissioner Murray Hulbert Outlines a Schedule of Progressive Investment Calling for an Outlay of $20,000,000 Up to the Year 1921”, Greater New York 7 (Nov. 4, 1918), pp. 11-14. Robert A. Caro, The Power Broker: Robert Moses and the Fall of New York (New York, 1974), 360. Gregory F. Gilmartin, Shaping the City, New York and the Municipal Art Society (New York, 1995), 319. Ibid; Cleveland Rodgers, New York Plans for the Future (New York, 1943), 197. Gilmartin, Shaping the City, 319; Elizabeth Barlow, The Forests and Wetlands of New York City (New York, 1971), 5. Gilmartin, Shaping the City, 319; Barlow, The Forests and Wetlands, 112. Gilmartin, Shaping the City (New York, 1995), 319. Rathje and Murphy, Rubbish, 5. Gilmartin, Shaping the City, 319.Samuel J. Keating Jr., “The Politics of Garbage,” New York Magazine, 3 (April 13, 1970), p. 29-32. Gilmartin, Shaping the City, 319. Eric Goldstein and Mark A. Izeman, The New York Environment Book (Washington, 1990) 13. Gilmartin, Shaping the City, 319. P. White & Sons Fertilizer 1884- ? Menhaden Company Menhaden 1881- ? From Frederick R. Black, Jamaica Bay; A History, Cultural History Management Study No. 3 (Washington, DC, 1981), 29. Table 3, Analysis of the typical load of food and kitchen waste. From: P.J. Schroeder, “The Fertilizer Value of City Wastes Part Two, Garbage Tankage, Its composition; the availability of its nitrogen, and its use as a fertilizer,” J. Industrial and Engineering Chemistry, (May 1917), p. 513. Table 4, Nutrients in waste after processing to remove the water and grease. 1. Garbage is subject to putrifaction and decay resulting in offensive odors and possibly toxic gasses. At the time the science of toxicology was not sufficiently advanced to determine if the odor-causing compounds were in fact harmful to health. Evidence from animal studies and statistical analysis was inconclusive. 2. Garbage may contain bacteria from human feces and saliva. While feces were rarely found in garbage, saliva was much more common although it was thought not to play a significant role in disease transmission. 3. Flies bred in household garbage. 4. Piles of garbage would attract flies. 5. Passage of garbage scows would expose persons living near the water or traveling aboard ferryboats to odors. 6. The sight of large garbage scows under tow would be offensive. 7. Odors would be generated at the plant from scows awaiting unloading, filling and emptying digesters, processing the tankage, and general odors around the plant. 8. The odors from the plant would cause lose of appetite and general mental discomfort. 9. Discharge of effluent water might contaminate drinking water supplies. 10. Discharge of effluent water, loose garbage, and wash water would harm fish and other marine life. 11. Discharge of effluent water, loose garbage, and wash water would create offensive sights and smells to persons living on or near the waterways. 12. Under Section 1754 of the Penal Law, the process was noisome and unwholesome and therefore could not be conducted near a public highway. From: New York State Department of Health, 37th Annual Report of the New York State Dept of Health, Vol II, (Albany, NY, 1917), p. 751.